Background: Valerian is well-known as a sedative. It was used as early as 1 AD by Romans. Unlike sleeping pills and tranquilizers, valerian root doesn't cause addiction. In addition to helping one get a good night's sleep, valerian can also help to relieve stress and high blood pressure. It was once used to treat everything - including epilepsy. However, now it is used for stress and sleeplessness. Valerian is primarily used as a sedative and relaxant. Sedative: Valerian can be used to treat insomnia and aid sleep. Anxiety: Valerian can be used to treat symptoms of anxiety disorders. Muscle relaxer: Valerian can be used to releive muscle tension. Blood pressure: Valerian can be used to lower blood pressure caused by anxiety. Valerian root is a perennial that is native to Europe and Asia. It has green leaves and small white flowers. The root of plants that are at least 2 years old is unearthed in the fall for use in herbal medicine. As a tincure, take 20 drops in hot water 5 times daily. As a decoction, take 25-100 ml at night to aid sleep. 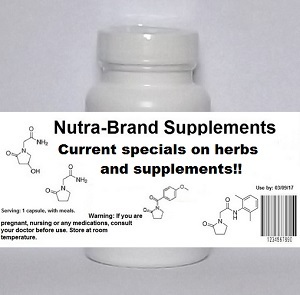 Valerian root may also be taken in tablets or capsules. Valerian root can cause drowsiness. Do not take with another sleep aid. Consult your health care provider before beginning use of any herb.